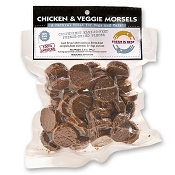 Crunchy Duck Chews are natural, flavorful and provide dogs with chewing fun. 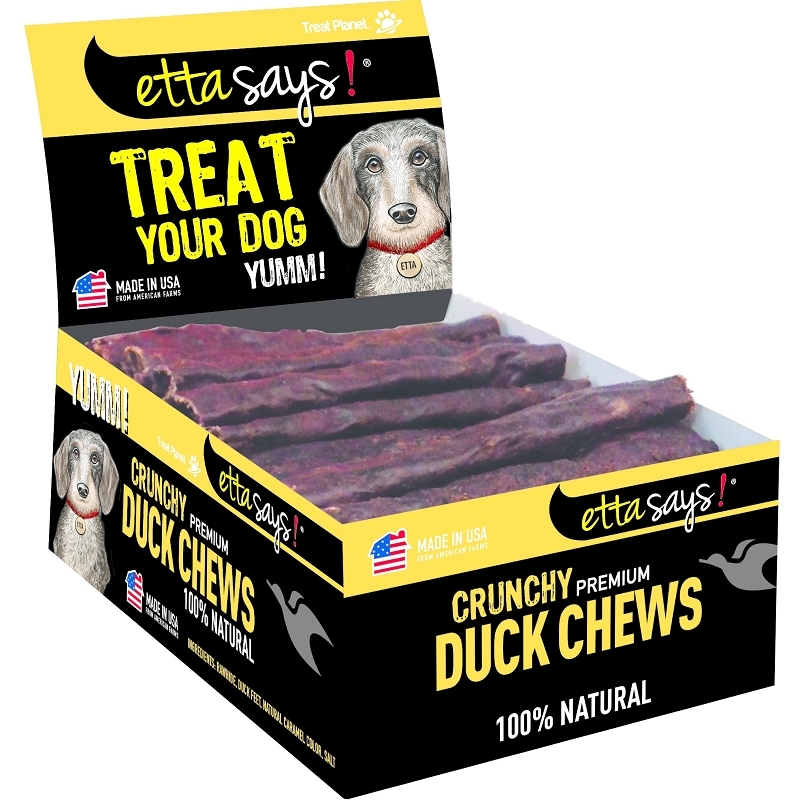 Each stick features real duck and are a great alternative to traditional rawhide. 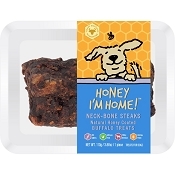 These chews are developed using an unique manufacturing process which breaks down the rawhide, adds the rabbit, which is then formed into a stick and baked! 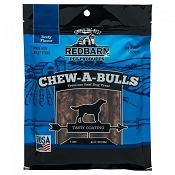 Because the rawhide is completely broken down, it is easier to digest. 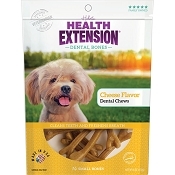 Providing dental chews can help support good dental hygiene as it gently scrapes and cleans the teeth as your dog gnaws. 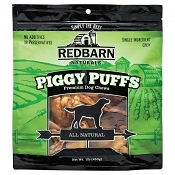 It features USA sourced ingredients and contains NO artificial colors, flavors or preservatives. Etta Says! 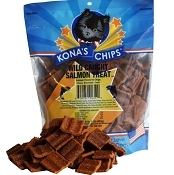 Dog Treats are proudly made in the USA!